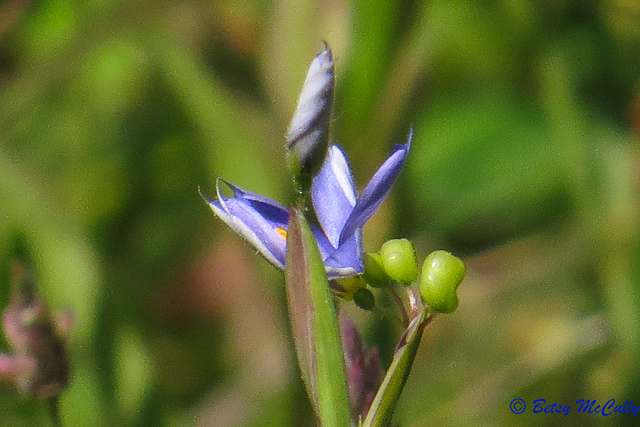 Blue-eyed grass, Coastal Plain (Sisyrinchium fuscatum). Iridaceae family. Native. Sandy grasslands. Montauk, Long Island, 2015.